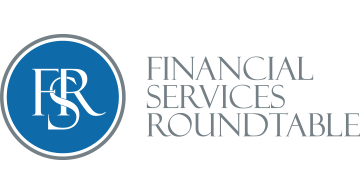 Financial Services Roundtable (FSR) is the leading advocacy organization for America’s financial services industry. With a 100- year tradition of service and accomplishment, FSR is a dynamic, forward-looking association advocating for the top financial services companies, keeping them informed on the vital policy and regulatory matters that impact their business. FSR members include the leading banking, insurance, asset management, finance and credit card companies in America. We are financing the American economy — creating jobs, expanding businesses, securing homes, businesses and retirement, insuring growth and building consumer confidence. With expanding Washington involvement in our industry, forming relationships and engaging with public officials and policymakers is critical to helping our members see around the curve, understand policies and regulations, and provide input to help shape them. FSR is driven at the CEO level giving us a unique and influential voice in Washington. At every level of the government, FSR is working to ensure that our members’ interests are well represented.